As a black conservative tea party activist, I am extremely excited about Bill O'Reilly’s recent series of commentaries and TV shows addressing the hypocrisy and exploitation by the American race industry that has and continues to devastate the black community. Eric Holder and others on the left have been whining and arrogantly scolding us saying, “We need an honest discussion about race in America.” Whenever despicable race hustlers such as Holder suggest that we talk about race, it means they want to further the false narrative that America is still racist and somebody needs to get paid; more entitlements, growing government bigger and increased deficit spending. Well, O'Reilly called Holder and company's hand and “honestly” addressed race in America and the Left are out of their minds with rage. Why? Because like the famous line in the movie, the Left “can't handle the truth”. 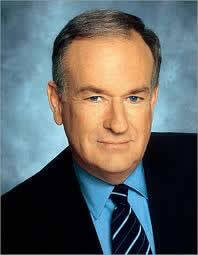 O'Reilly tells it like it is: fatherless homes, out-of-wedlock births, high rate of school dropouts, drugs, crime and high unemployment in the black community. What a racist stupid response. I thought, “Madam you and your ilk are the problem. You are the reason why blacks continue to die via black on black crime, suffer broken families and end up in jail. Get off of my TV you vile human being!” Yes, I grabbed my remote and muted her. Yes, with blacks killing blacks in record numbers and half of black pregnancies ending in abortions, we blacks are well on our way to self-induced genocide. I am prayerfully optimistic that O'Reilly's “honest” conversation about race will spark positive change; saving black lives and the futures of black youths.